I love Business View. We just started promoting it in our agency last month. There are so many wonderful benefits. It goes a long way in building trust, increasing conversions, and building engagement. Sadly, I think it’s Google itself. They make it so difficult on the photographers. I’m not talking about getting certified but just the ongoing process of signing up businesses and uploading a shoot that meets their loosely defined standards. It’s very frustrating at times. But I think it’s here to stay (fortunately). And will become even more important going forward. They just need to figure out an easier way of working with the photographers. As for other reasons to get a shoot . . . You touched on embedding it in the business website. But it can be embedded anywhere you can place an iFrame. Facebook is one that I love. And you can do a screen capture video of yourself doing a walkthrough and upload to YouTube. So many possibilities. Lastly, I definitely think it’s a rankings boost for the reasons you mentioned. And also because of increased trust. With all of the spam we have to combat every day, fake businesses aren’t going to have a business view. And anything that can help build trust with Google should result in a ranking boost of some degree. Hey Lloyd, thanks for the excellent insights. Did not know it was almost 5 years old though! we have been in the program for just over 2 years now its amazing how many customers have never heard of Google Business View at all. Amazing how little it’s changed. I am a strong advocate of this service. In fact, I introduced it to photographer friend here in Santa Cruz. She got certified by Google and has been doing great with it. She recently shared a Facebook App for the Google Business View http://www.socialpr.dk/lookinside/. Very nice, Brian. Thanks for sharing that. I have a client who is a dentist. He had the virtual tour done on his brand new office and it looks quite good. He invested a large amount of money in the look of his office and now he is showing it off in the Google+ listing and also his website. We are now optimizing the images for directories and other online properties. If it is free, why not take advantage of it. I totally agree, M.J. 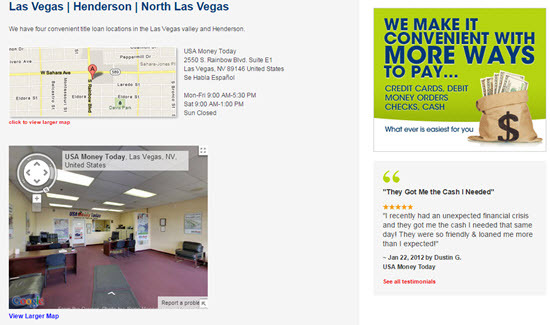 Although I’ve never heard of a Google Business View shoot being free. My oversight Phil. For the mileage you can get from it, it might as well be free. I just want to add that it is also available in Canada (I had over a dozen done) and In Paris (France). Great post… Can I eventually add an 11th reason? An extra advantage is that when liaising with (potential) customers we can actually provide a link to a specific location within the virtual tour, in order to show a specific product or display within email communications. 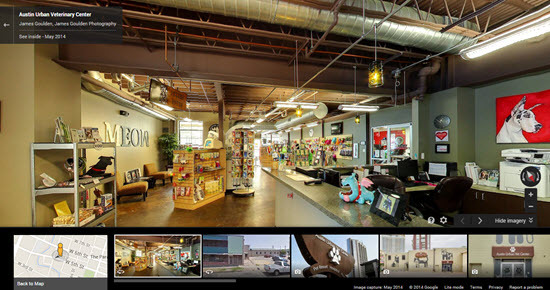 I recently enrolled in the Google Business View program and will shortly become certified. I can say for the clients that have participated in the program and got the 360 Tour, it’s been great for local search. I will be putting a case study out shortly, 1 month before the Tour, the month during, and the month after. Awesome. Looking forward to it, Matt. I was contacted and being considered as a photographer and was asked to sign on to a site to sign some paperwork but when I tried to do that it told me I needed more permission. I tried emailing but wondered if someone here might also be able to help. I’d suggest asking whomever contacted you about becoming a GBV photographer in the first place. Just wondered if you or any of our peers actually has any tangible results to report since using Business View panoramas? What difference (if any) did it make to monthly G+ views? 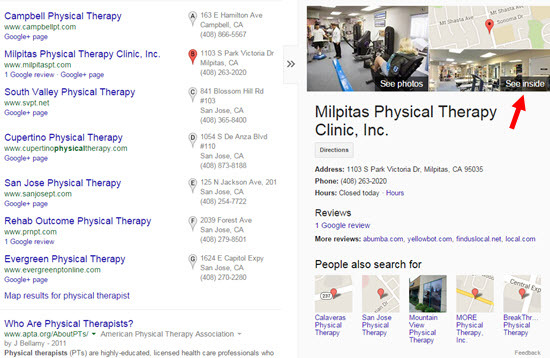 Did it improve organic SEO ranking? One aspect that’s been rather disappointing for me with Business View is Google’s guidelines. On the one hand I am quoted a $ figure for 5 panoramas – so I recommend my clients to proceed with it, yet when the Business View photographers meet with the client to ‘measure up’ and discuss the job they return with a quote for 20 panoramas. – Secondly, immersive as VRs are … no one is going to sit there and view 20 panoramas about 10 feet apart (I would be amazed if any more than 4 were viewed for any location). Wish I had before-and-after numbers on the views, Alan, but I don’t. I think it would help the photographers if Google helped to get the leads and then let the photographers do what they do best. Door-to-door selling is something that I do not enjoy but I’m a great photographer and can learn how to do this and do a good job. When I first stumbled on this service, my sister and I were virtually “flying” around NYC via a Google Map, checking out our old neighborhood, when she announced that she was actually inside the store where my mom once worked. Before that, I didn’t know you could go inside businesses. We were both in there looking at the art on the walls, etc. Very cool! (The only thing missing was avatars so we could see each other in there). I’ve been wondering why this hasn’t caught on like wildfire. I mentioned it to a client recently and they said they didn’t want potential thieves virtually prowling around and scouting out the place. Do other people feel like that too? I met a Google Certified Photographer at a local marketing summit and he explained how it works. He was charging a minimum of $800 for a small business (about Starbucks size), and went up from there. Diana De Rosa mentioned Google helping photographers get leads, but I think it’s unnecessary. People like me with a local marketing/graphic design business are out and about anyway, and we can add this to our slate of services for a commission. I was contacted by Google for this and they said price started at $1500 and could be more. I think that a little high. From what I’ve heard, some photographers offer it for less. Are you sure you asked Google, rather than a specific photographer? Photographers set their own rates. Of course, it’s up to you whether the benefits are worth it. That is strange. You have a B&B and as such no Google Photographer can approach you. It would be bizarre if Google did. Among hospitality businesses only a few major hotel chains are able to get Business View tours currently. 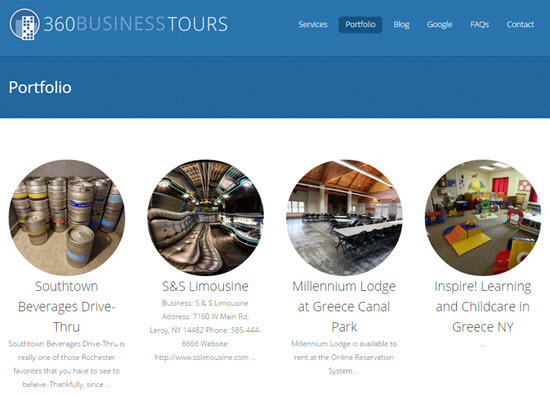 I do Business View tours as well as custom tours. For you a custom tour would be far more effective. 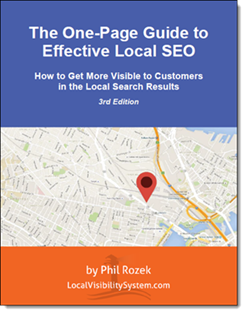 And if you want to see significant organic search ranking improvement a custom tour will definitely do that, which will improve local results as well. But the tour won’t appear in Google search and maps. 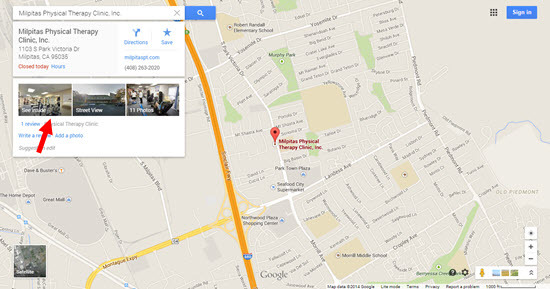 Google does plan to make Business View available throughout the hospitality industry again. They just won’t tell us when or how. Quick update: As of September 2015 Google photographers are allowed to shoot lodging businesses, included B&Bs. This was a great help! 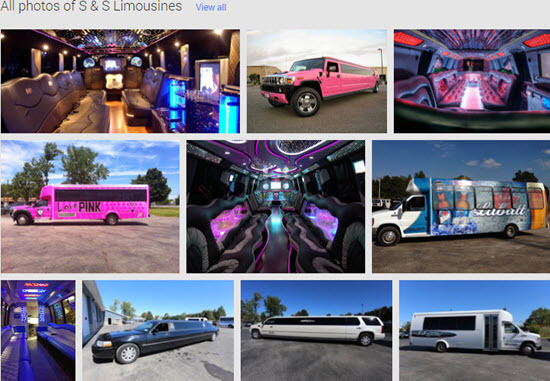 I just requested to receive a quote for the Google Business View photo shoot, but needed some justification as to why it would be worth it for our practice. Like you said, if nothing else, you get professional photos that can be used in other applications. Thanks for the write up! Our agency has been in 360 degree tour marketing since 2006 and added Google Street View Trusted Photographer to the mix 2.5 years ago. The program changed names from Business View in the last 6 months. I think one avenue that most are missing is this is a medium if used correctly can extend the reach of almost all other advertising. 1. Add either a QR code in your PRINT ads to take people directly to the tour or alternatively embed the tour on it’s own page and use a call to action on the print ad to view the tour. There are many more and the best part..only a one time cost with no monthly recurring. Of course, we add extra value by converting the images to a 360 degree video for youtube and facebook as well. 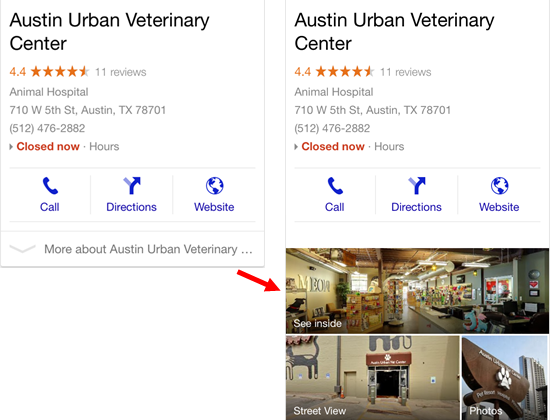 360 VR Marketing is here and cannot be ignored…Google Street View is an important part and should not be ignored. Thanks for sharing on this thread. I live in the UK and am only looking to get started in this area now. I would be interested in finding out more if you are happy to chat sometime? a problem. I focus on luxury apartment complexes and have done quite well with them. I think there is a real need for a Google tour in this industry. Thanks for the read!